Speech Blubs: A fun speech therapy app for kids! Speech therapy for kids can sometimes sound daunting, but it doesn’t always have to be. With Speech Blubs, the brand new speech therapy app, children can laugh and have fun while improving their speech and language development. 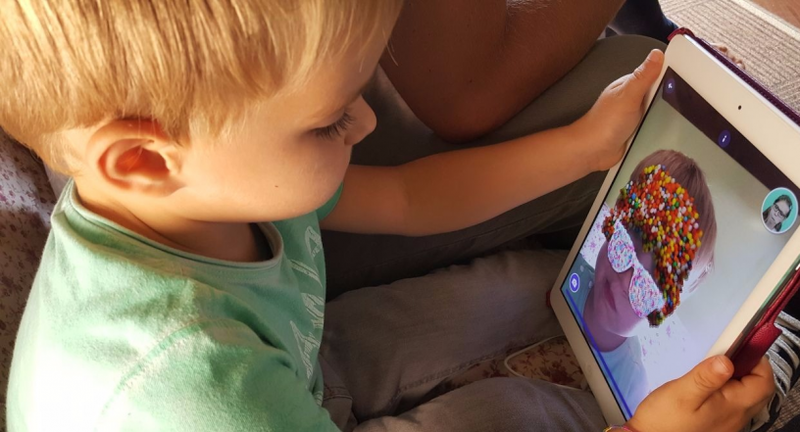 Designed to help toddlers, and children with speech and language disabilities, this fun and exciting app is helping children all around the world. What is Speech Blubs and how does it work? 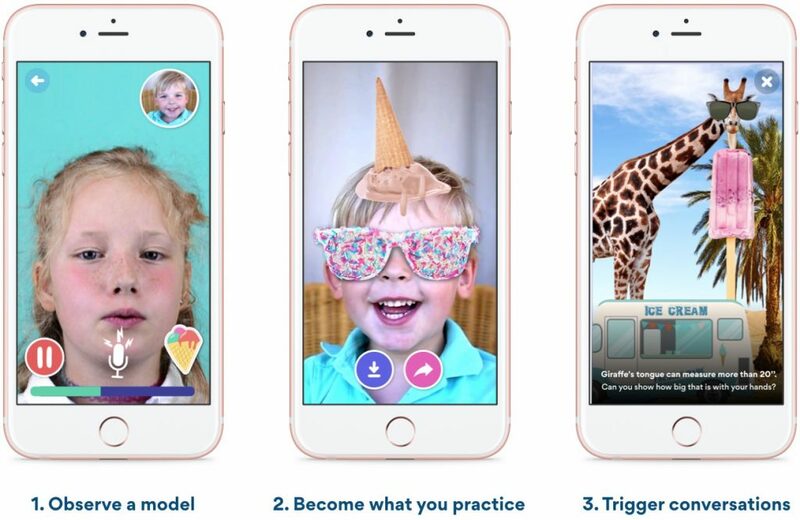 Speech Blubs is a face and voice activated app, aimed at boosting kid’s speech skills through play. 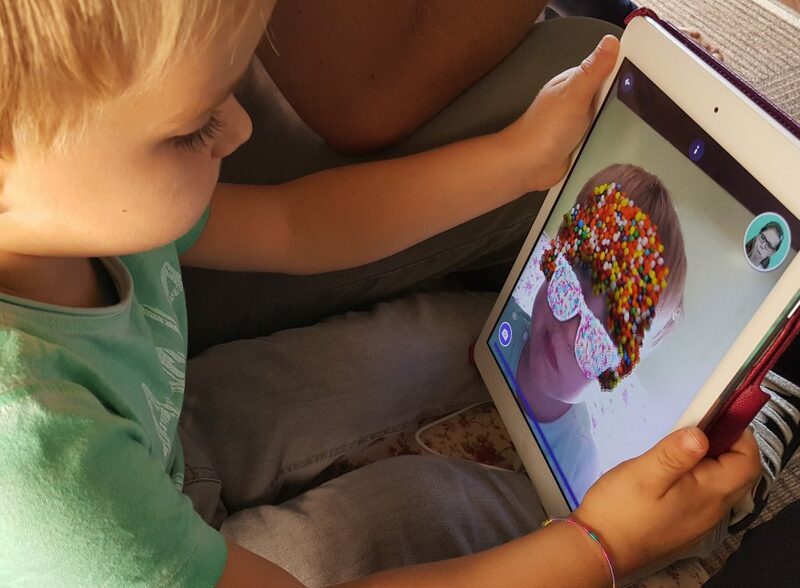 The educational videos and voice recognition technology encourages children to vocalise, and generate new sounds. If you are familiar with snapchat, this speech app may look a little familiar. 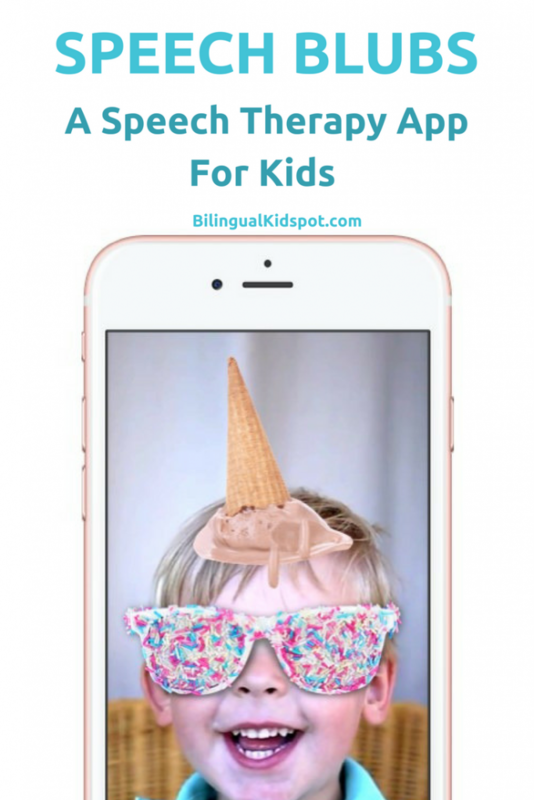 With different types of activities, and the use of funny filters, children are encouraged to practice their speech producing new and different sounds as they follow the instructions. 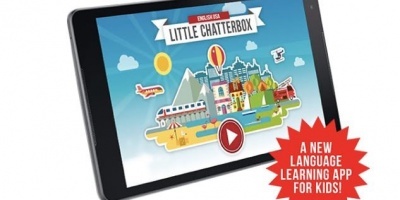 This app is so much fun, kids don’t even realise they are helping to improve their speech skills. Early Sounds activities were designed specifically for parents and children to engage in the interaction with sounds through play. Inspiring a child to overcome their speech disabilities begins with teaching them how to mimic the sounds of animals, machines and other objects. Early Sounds is an enjoyable and entertaining way to motivate children, while simultaneously providing speech and sound stimulation. First Words is a set of practices designed to encourage your child to imitate words. The words are carefully chosen and the content prepared in a fun way that guides the child into their first words. Each word uncovers contextually relevant funny hats, facts and silly videos. Guess What is a sticker book that aims to help children’s brains connect spoken words with a concept and a meaning behind it. Animal Kingdom, Know your body, Yummy time, Grab your wheels, When I grow up are sections that work exactly the same as First Words. It simply explores words from these topics in a fun and engaging way. Mouth Gym practices are designed to increase oral muscle awareness, coordination, strength, range of motion and endurance. In order to smile, chew, swallow and speak properly, children need to develop all sorts of motor skills using their tongue, lips and cheeks. Who can benefit from Speech Blubs? While this speech app can be used by all children, it is specifically designed to help toddlers, late talkers, children with Apraxia, Autism, Down Syndrome, ADHD and SPD to improve their speech. We were given a 6mth membership and my children who are 3 and 5 have lots of fun with it! Speech Blubs comes with a 7 day FREE trial for parents to make sure you are happy with the app before you make your purchase. Simply download from the Apple App Store, Google Play Store (for Android devices) or visit their website. If you want to keep up to date with news from Speech Blubs you can also check out their Facebook page. Are you raising a bilingual child? 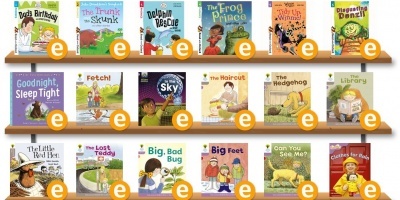 Take a look at our Language Resources for kids. Subscribe for related articles. 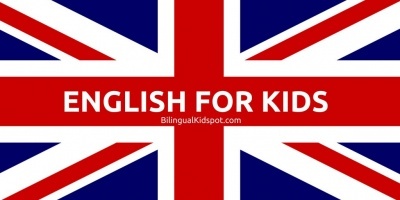 Follow Bilingual Kidspot on Facebook and join our online community and support group!